This entry was posted in Uncategorized and tagged Bible reading, humor, Leadership Journal, pie chart, Reading Cereal Boxes. Bookmark the permalink. If you substitute sports illustrated for “novels recommended by Anne Bogel”, you’ve pretty much got my life on a pie chart there. I’d substitute novels written by people dead a hundred years or more. You and me both, Jeannie. For me, cut FB and Twitter and paste “classic novels” in that slot, and then cut Sports Illustrated and paste “current novels” in that one, and cut “cereal boxes” (don’t eat it!) 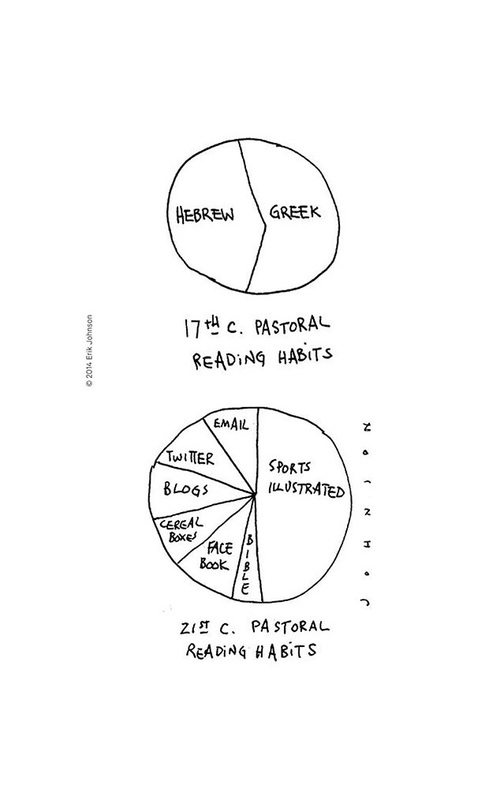 and paste “blogs about writing and publishing,” and–I guess that might be a slightly different chart, huh? But still a rather revealing exercise, isn’t it? I see your pie chart and raise you a histogram. I used to be addicted to facebook. I had to go cold turkey. One day I decided I’d had enough and that was that. I use Bible Gateway all the time, sfk. It’s a great site. Shakespeare, other great works of literature, those tell us so much about the “human condition” rather than the ‘human problem” of today. -To be or not to be……- well read……..
Reading good literature is its own reward. No, I am not saying much about anything except how I am wired, my love for Jesus and His people. Nice points there, PB. The Bible is God’s revelation to us, and he uses things such as good lit to reveal truth to his creation as well. Must resist urge to take this too seriously. You’d probably be able to replace Twitter, and Sports Illustrated with novels, kids books, and non-fiction reading for me. Also cereal boxes would probably be replaced with macaroni and cheese boxes (although the pie piece would probably be a bit slimmer). Kids books would occupy a slice of my pie too, Jeremy, and my kids are already grown!